Anyone who has played a lot of games know that it happens. People don't like to admit it, they don't like it when it does, they can't always explain it, but it still happens. 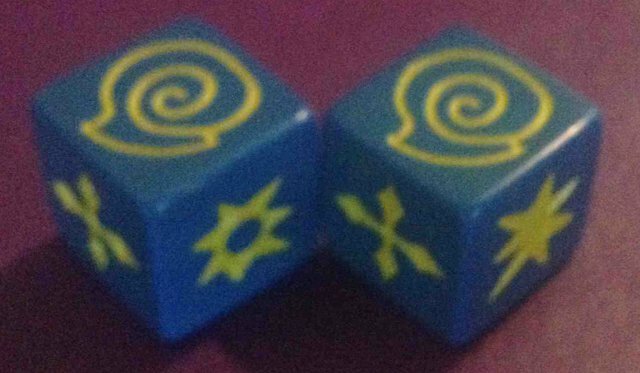 Especially in a game as complex as Daemon Dice™ with so many different components. We are of course talking about Genetic Mutations. In the civilized world the Daemon Lords are careful with their breeding stock to keep mutations out, but in the wild where they can breed without controls it happens from time to time. The Arm on the left is of pure genetic stock. The Arm on the right is a mutation. These are easy to spot because the face opposite the Arm (which should be an arm) is actually a Whip. Thus instead of having a Stun as normal, it has a Wound. Sometimes these are hard to find until you are in the middle of a battle and sudden roll something you know wasn't bred into your creation. So what do you do with a die like this? Keep it, treasure it, trade it away, just don't throw it away. 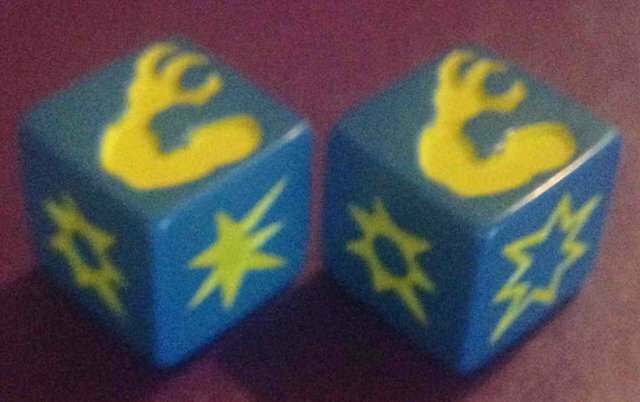 I put a standing offer to trade you atleast the two dice that this mutation is supposed to be. I do this to get these mutations out of the wild so that they will not extend to the next generation. When you come to a gathering (ie convention), then the resident Daemon Lord (ie Tournament Director) will require that his fighting pits be kept pure. (unless you bribe him). So these are fun for back alley fights, but don't bring them to an official fight. You will have to decide for yourself if this counts as a body part or not. It half is and half isn't. In this case the opposite faces all match, but they are not the right faces. This shell has two stun instead of two blocks. I've also seen Spikes that have stuns instead of blocks. This is still considered a mutation and falls under the same restrictions for formal gatherings. Note: (**cough,Shoe,cough**)We don't have a list of all possible variations. There is no logical reason for some of these to exist. Have fun collecting.